Welcome back, dear reader! 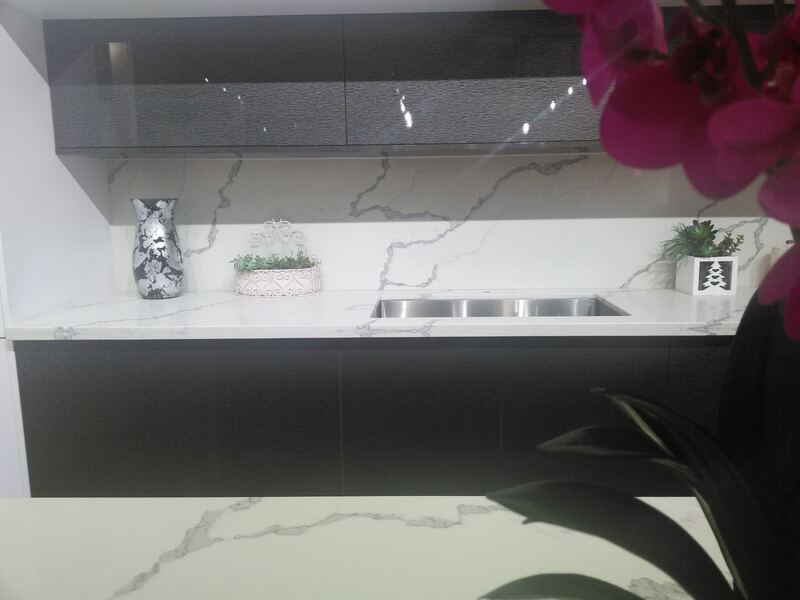 We never expected the strong interest our last article detailing cool backsplash concepts for your white cabinets, so we decided to follow up with one covering flat panel styles. 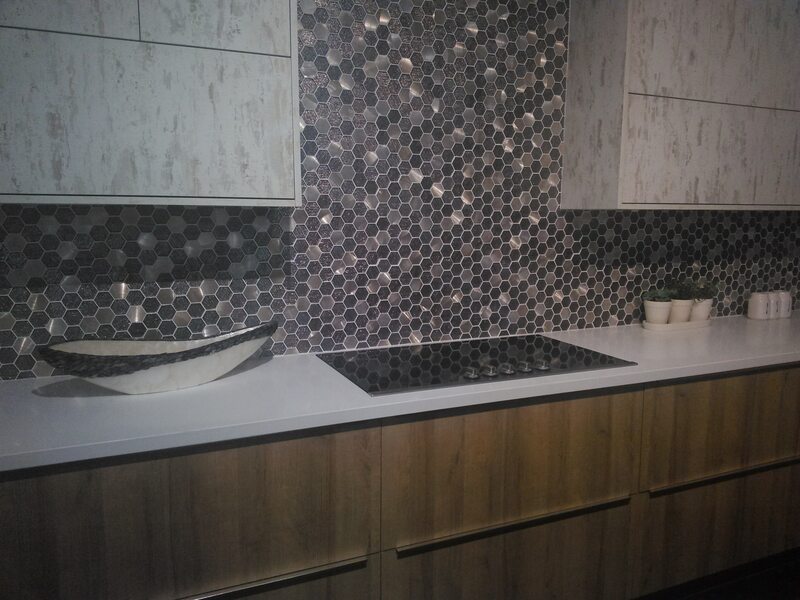 We have just finished some chic new model kitchens in our showroom (in Los Angeles) complete with contemporary backsplash designs–what better way to show off some of these new styles? One of the most noteworthy aspects of the flat panel design is its chameleon-like nature. Depending on texture and color, they can be matched with a sweeping variety of backsplashes, wall colors, accents, and moldings. This is a keystone to their popularity alongside white shakers. 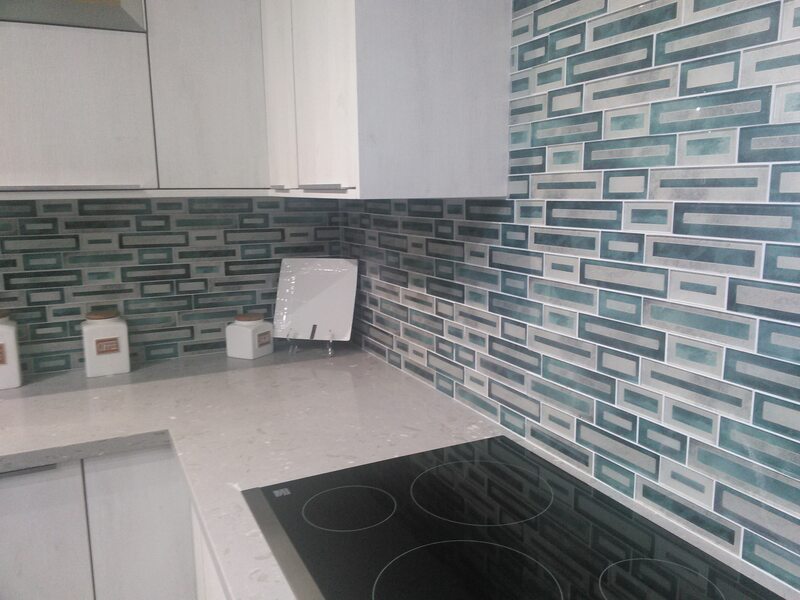 In general, you will find among the following backsplash concepts a running theme: lighter colored backsplashes can be offset more easily with complex and eye-catching designs. Meanwhile, darker cabinets enjoy the limelight when paired with more subtle surroundings. With two European cabinets within the realm of neutral colors, a flashy backsplash that really dazzles is just what the doctor ordered. Additionally, its metallic sheen offsets the organic texture on the upper and lower cabinets. This leaves the viewer with a middle-of-the-road look; it appears modern and rustic at the same time. This is yet another testament to the versatility of tile. You could go with any number of styles–even a matte sheen but with a splash of color. The idea is simply that its very difference from the cabinets highlights them. White marble surfaces carry an undisputed air of refinement and sophistication. Alongside dark European cabinets, they become outspoken when framed by what becomes relative negative space. Beautiful and ethereal, they transport your kitchen into an ageless and regal visual realm. 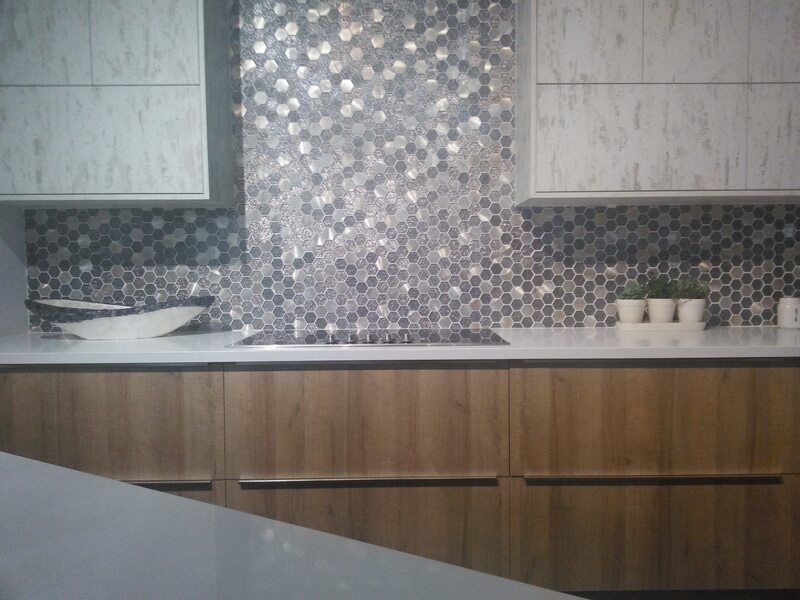 Whether you love or hate your current backsplash, it can always be fun to seek inspiration for your next kitchen remodel. Just like window shopping at the mall, an active mind is one that’s having fun. We’ll try to keep you updated with interesting backsplashes we come across like these creative ideas for backsplash projects. If you are already thrilled with your current wall accents but may be considering a transition to European cabinets to better match them–we don’t blame you! Modern kitchens are all the rage and can really set a brand new tone for your cooking. Check out our great selection of European flat panel cabinets to find what you’re looking for today.